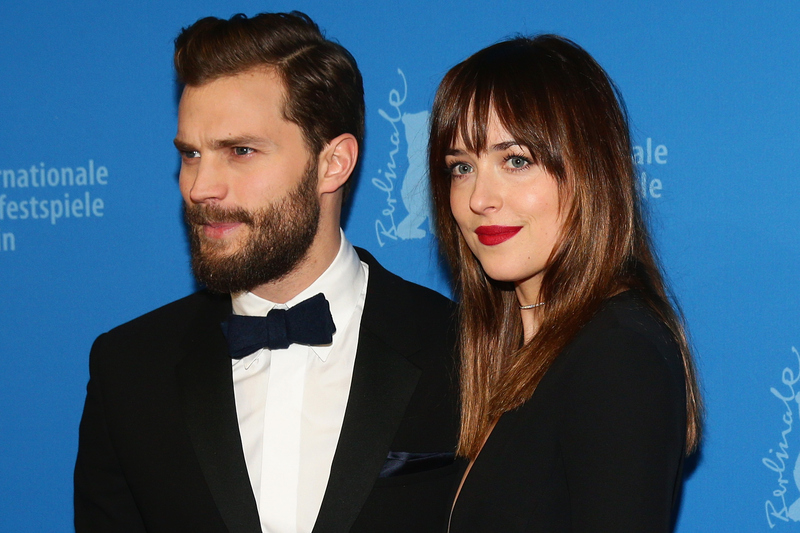 Dakota Johnson & Jamie Dornan Want More Money For 'Fifty Shades Of Grey' Sequels, Because Why Wouldn't They? With the amount of money that the movie version of Fifty Shades of Grey has been raking in, I honestly had a feeling it was only a matter of time before its stars Dakota Johnson and Jamie Dornan started asking for raises. It's no surprise, when you think about it: So far, the movie has grossed $528 million worldwide, which is insane for a number of reasons, (chiefly the complete lack of chemistry between Anastasia Steele and Christian Grey), but mainly because Johnson and Dornan only made $250,000 each. While it sounds like a low number, to be fair, it doesn't include the "tiered box office bonuses" for which both were eligible — and all of which we have to assume they hit, considering the amount that Fifty Shades made in the box office. But beyond that, neither of them were entitled to any backend compensation, so they made a pretty minuscule amount of money given what the film ultimately generated. It was a very basic franchise starter deal. Look at Twilight and Hunger Games, and that's where it is heading. Honestly, the Hunger Games comparison in particular is pretty sweet, because Lawrence got $500,000 for the first film, and was able to bump it up to $10 million for the second. Take notes, guys, because that's nothing to sneeze at!